Festive Fifteen project eleven, these are cute little name cards for your Christmas table. 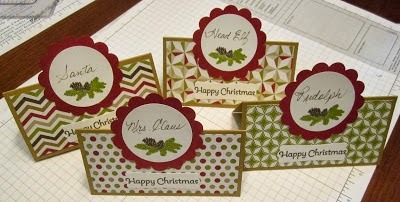 And they are made to match the napkin holder we showed you earlier. There is even a space to place a Christmas treat! Ho, ho, ho I'd love to sit in on this dinner!! !